A salt based scrub, formulated for men’s hard-working hands, to moisturise and nourish, and gently remove ground-in dirt and stains. 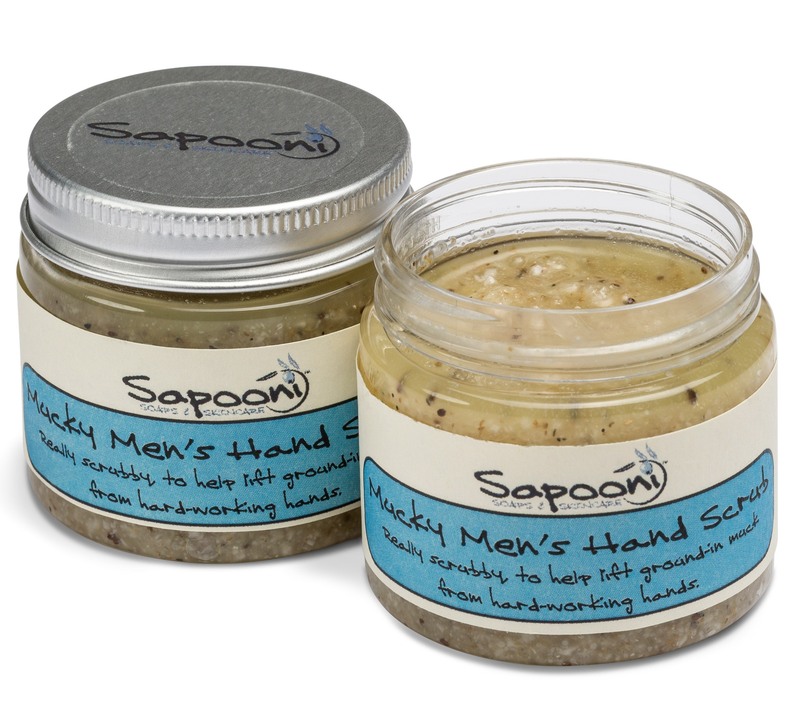 Formulated for hard-working hands, our Mucky Men’s Hand Scrub will gently remove ground-in dirt and stains whilst soothing and moisturising dry, irritated hands. We make it with a blend of sea salts (including a sprinkling of salt from Cornish waters), bound together with a blend of skin-nourishing oils and butters including Shea butter. We’ve added Arnica (great for helping to heal damaged tissue), Vitamin E, soothing Calendula, Aloe Vera and Glycerine; all of which your skin will love. To gently lift the dirt, we use finely ground natural pumice, ground olive stones, and strawberry seeds. It’s gently scented with our special blend of essential oils, which used for centuries for their soothing, healing, antiseptic and anti-inflammatory properties. 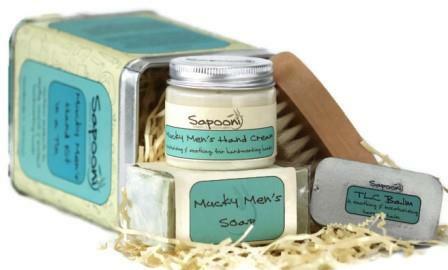 Available in a 90g jar or 300g Kilner jar, or as part of our Mucky Men’s Gift Box. Wash hands & pat dry. Massage a cherry-sized scoop of the scrub into your hands & wrists, concentrating on any dry, rough or especially dirty areas. Leave the scrub on for 5 minutes for all the lovely oils to soak in, then rinse off with warm water, and pat hands dry on a clean towel. Your hands will be cleansed, nourished and ready for tomorrow’s work. 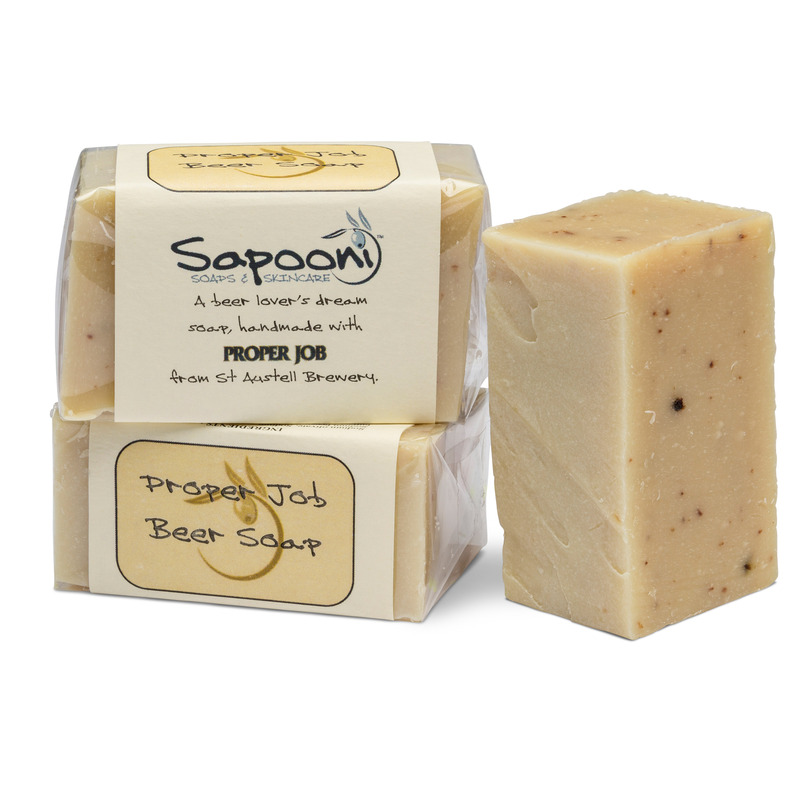 Sea Salt; We use two grades- fine and coarse- to provide different degrees of scrubbiness. Sea Salt from Cornish waters; Extracted from the clean, clear waters around the Cornish coast, this has a beautifully soft, crumbly texture, to very gently scrub the skin and slough away dirt. Sweet Almond Oil; This has a light texture, and is easily absorbed into the skin, leaving it nourished and moisturised. Lavender essential oil; Used for centuries for its soothing, calming and healing properties. Frankincense essential oil; Good for revitalising dry skin. Calendula infusion; To help repair damaged skin. Arnica; Used historically to treat bruising, muscular strains, wounds and swelling. Aloe Vera Gel; This contains over 200 active components including vitamins, minerals, amino acids, enzymes, polysaccharide, and fatty acids- no wonder it’s been used for centuries to soothe and treat a range of ailments, including burns, sunburn, abrasions, itching and inflammation. Sodium chloride (Sea salt*), Olea Europaea (Olive) fruit oil, Prunus Dulcis (Almond) oil, Butyrospermum parkii (Shea butter) fruit oil, Calendula officinalis flower in Helianthus Annus oil (Calendula infused in sunflower oil), Prunus armeniaca (Apricot) seed, Pumice (Volcanic pumice, ground), Lavandula Angustifolia ( Lavender) flower oil, Aloe barbadensis (Aloe) leaf juice, Glycerin, Tocopherol (Vitamin E), Fragaria ananassa (Strawberry) seeds, Pogostemon cablin (Patchouli) oil, Melaleuca alternifolia (Tea tree) leaf oil, Preservative (Phenoxyethanol, Caprylyl Glycol), Anthemis nobilis (Roman Chamomile) oil. *Including a sprinkling of sea salt from Cornish waters. Naturally occurring in essential oils; Geranoil, Linalool, Limonene, Citronellol.